Bulk oil systems ensure that entire fluid management operations are simplified, from receiving bulk delivery, to oil storage and dispense. Do you wonder how much better your entire operation will perform with an organized bulk multi-fluid and oil management system? Simple, yet heavy-duty and cost-effective, we provide bulk oil systems and solutions that simplify lubrication management every step of the way, from refilling bulk storage tanks to mobilizing the dispense of fluids and oil to the point of contact. We are Fluidall, the most innovative World Class Fluid Storage and Handling Solutions provider. We drive value from the production line to your profits and through of all the reliability improvements you can make to your shop. Safe and efficient bulk oil systems that both store and handle fluids may be the most simple and impactful successful investment for your business. You can depend upon our bulk oil systems to safeguard your workflow and improve the integrity of both large and small shop operations. The endless benefits of refillable bulk oil systems are also cost-effective because they are a one-time investment. Our complete bulk systems store and manage oil and maximize your shop space. Refillable tanks reduce the hassles of drums and packaged goods and provide organization to fluid storage areas. 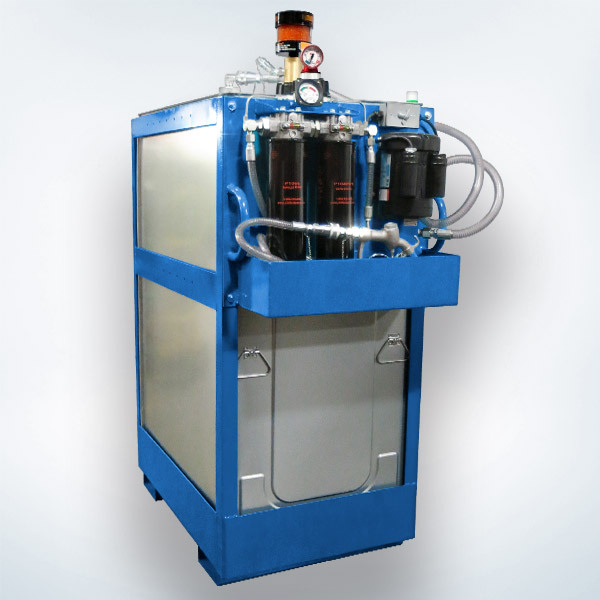 Our solutions provide value right out-of-the-box, arriving pre-assembled and allowing for bulk oil delivery. 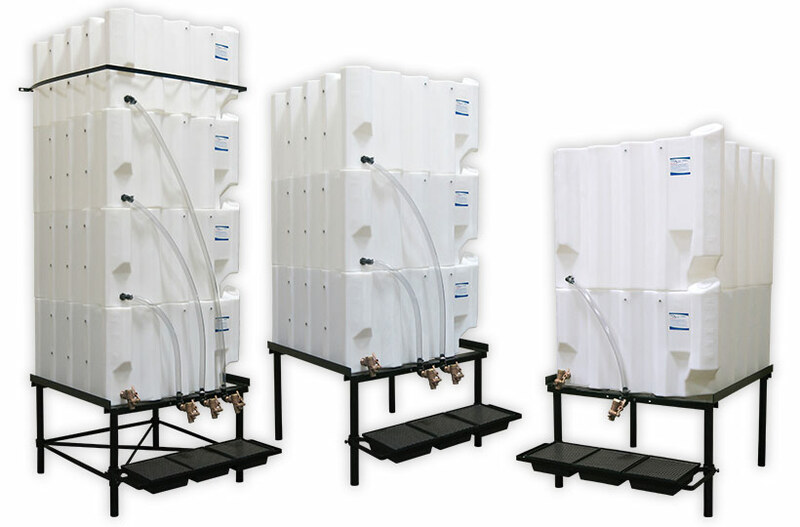 Fluidall’s Tote-A-Lube storage tank stack up in a system to manage up to four fluids in a single small footprint. The storage system features a simple gravity feed system, or customers can add accessories (not limited to) including pump packages, secondary containment vessels, oil filtration panels, and seismic restraint components. You can easily convert bulk oil systems into mobile lube skids or portable dispensing systems with our steel forklift-ready bases and casters. Our multi-fluid storage and handling Wall-Stacker oil tank systems feature compact footprints which utilize steel wall anchoring straps. As a result, our Wall-Stacker systems are ideal for locations such as constrained bay ends and pits. Our team fully assembles the mobile bulk oil system packages and therefore they arrive ready for placement at your customer’s location. The equipment packages store and handle virtually all bulk automotive fluids for a wide range of vehicle and heavy equipment servicing. These Steel Storage Tanks store up to 400 gallons of bulk oil and automotive fluids. 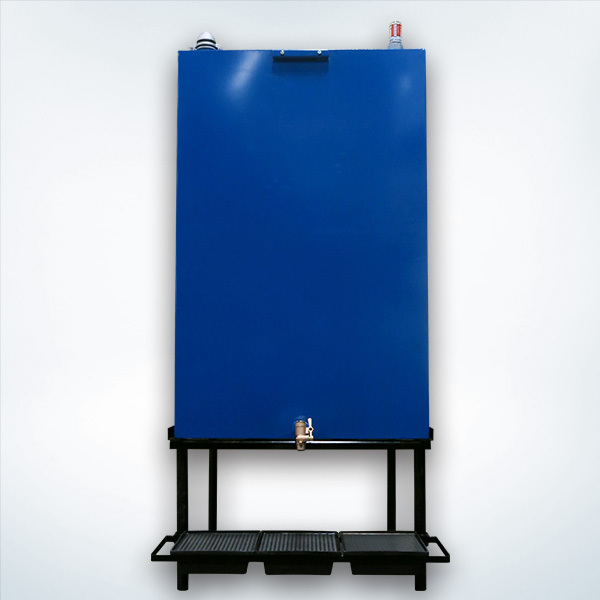 Customers can configure these extremely durable and cost-effective steel tanks with a simple gravity feed dispense. Similarly, our team can pre-assemble the steel tanks with stands, dispense packages and other add-ons. 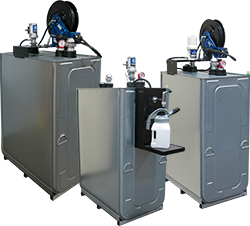 Fluidall offers Double Walled Roth Oil Tanks Packages, including our oil dispense packages, waste oil equipment and oil tap packages. Our team pre-assembles the packages with heavy-duty hose reels, dispense guns and pneumatic pumps. The Double Walled packages support heavy-duty dispensing activity because the package features a heavy-duty steel bracket. 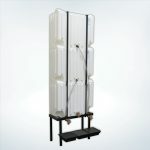 Safely store and handle up to 110 gallons each with a two or three fluid system. Inner HDPE tanks reside inside one powder-coated aluminum tank. Each inner tank is then equipped with a dedicated dispense package. 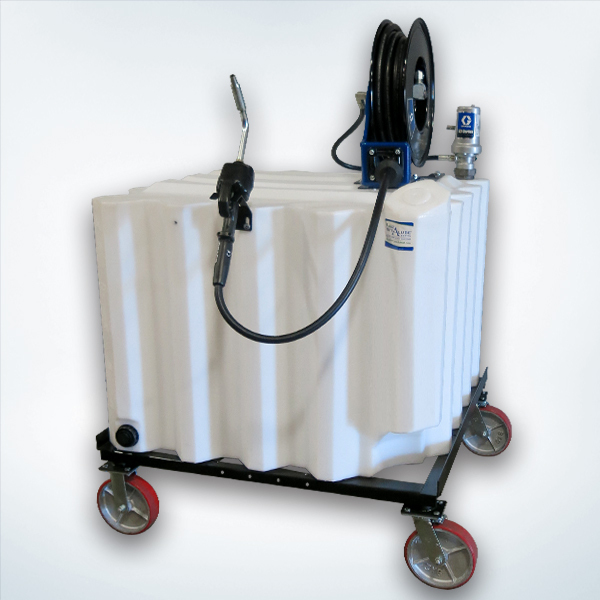 Efficiently store and handle 35, 70 or 120 gallons of oil and automotive fluids within our Work Bench Tank System. This bulk oil storage system is complete with a powder coated work surface area. The surface area remains free of oil residue for the reason that the work area resides above the tank’s fill ports. This is the ultimate in fluid and oil storage solutions for confined spaces! 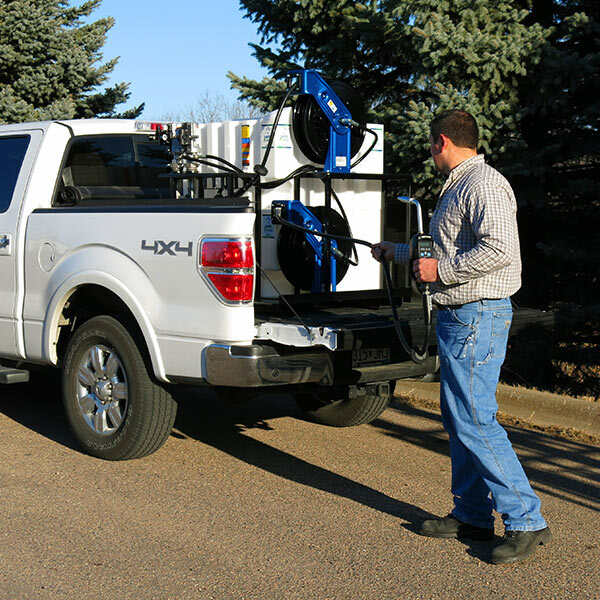 Easily transport oil, lubricants, and DEF to remote work sites and service areas with Fluidall’s Mobile Lube Skid. 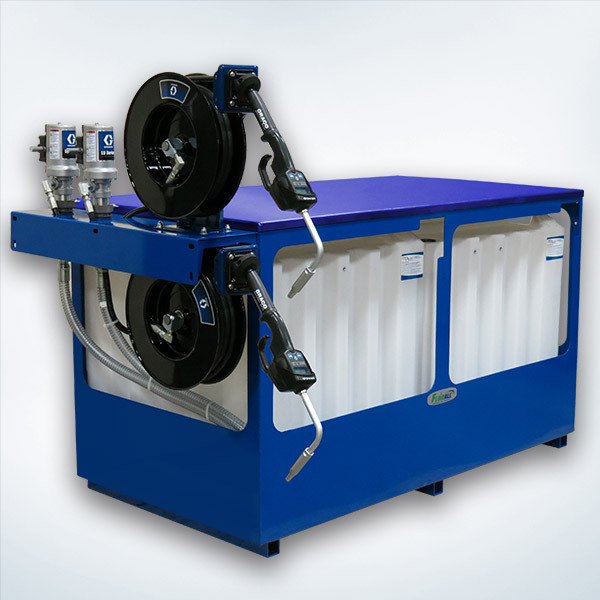 Dispense one, two or three fluids from just one lube skid because the skid configuration can feature 35 and 70 or 120 gallon capacity tanks. 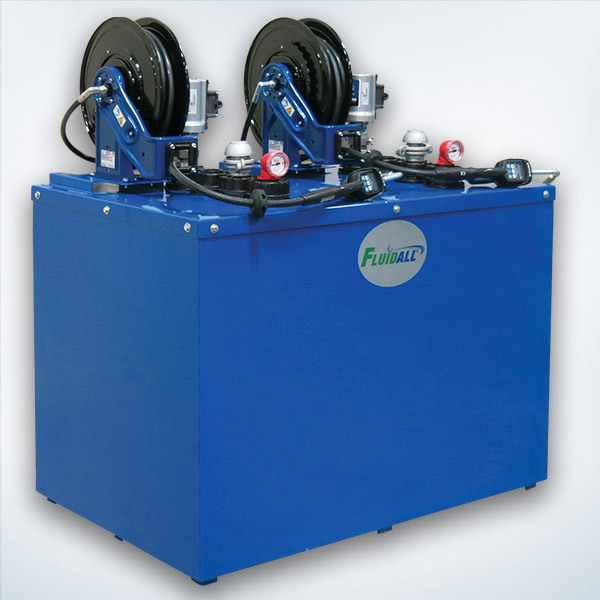 Fluidall’s portable system solutions can simply roll on caster wheels to service shop areas because they feature caster wheels. First, a Tote-A-Lube tank is secured onto a steel base with casters. Then equip the tank with select pump packages or filtration units. Our team can help you determine the most economical portable bulk oil system for your application specifications. The team at Fluidall offers you the most innovative fluid storage and handling bulk oil systems and components because we understand unique fluid challenges. 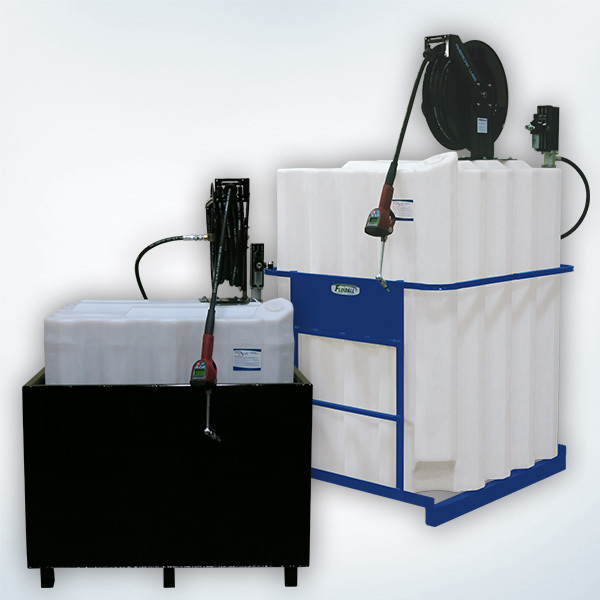 We design our system accessories to exclusively fit our fluid storage systems. If you prefer, we will help you select the most appropriate base system option. Our team can help customize your selected bulk oil system with additional accessories to meet your capabilities and specifications. The Calumet Refinery is on the right path to achieving world-class lubrication management. Eliminate packaged goods and drums: a one-time, cost-effective investment stores multiple Class IIIB fluids in one small footprint. A refillable bulk oil storage system also reduces waste from packaged goods, including double walled oil tanks and work bench tanks. If you are expanding the number of service bays or moving away from drums or packaged goods, Fluidall’s cost-effective storage solutions will meets your oil and fluid capacities, available storage area and fluid dispensing specifications. Convert a stationary storage system into portable oil storage with casters. Simply roll the system to the service area, attached air or electrical connections and you can service multiple bays. Ensure compliance with EPA guidelines. Primary poly tanks combined with secondary containment vessels (in steel, poly and aluminum) meet the latest SPCC plan regulations. Fluidall’s Cost Effective Oil Storage Tanks and Lube Equipment Packages can easily be Reconditioned for Redistribution. Fluidall’s multi-fluid and oil storage solutions are backed by our combined three decades of reputable industry experience. Our space-efficient fluid storage and handling solution are configured so that you can add bulk oil storage to your service center, and can be configured with SPCC secondary containment, pump packages, filtration and more. Our oil storage tanks and fluid handling systems are designed meet your fluid capacities, storage area and fluid dispensing specifications.